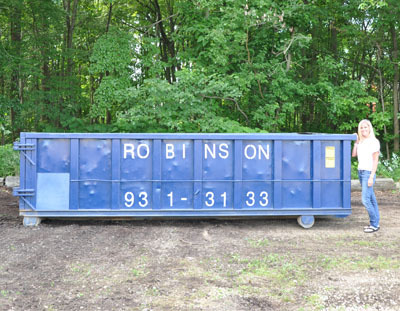 Cherry Hill Dumpster Rental - Roll Off Dumpster Rental in NJ. 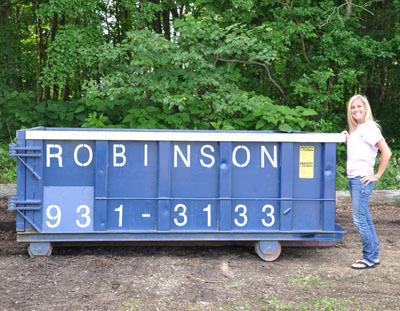 Renting your dumpster or portable toilet from Robinson is a snap! Rent a dumpster or a porta potty and have it delivered the same business day. 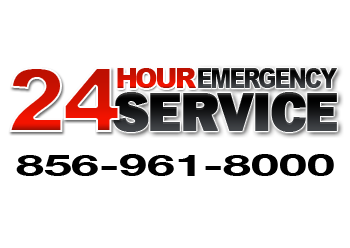 Our goal is to provide the highest quality service at the lowest possible price. 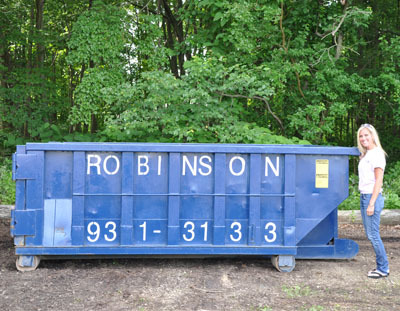 We offer roll off dumpster rentals for contractors seeking to dispose of construction and demolition debris. 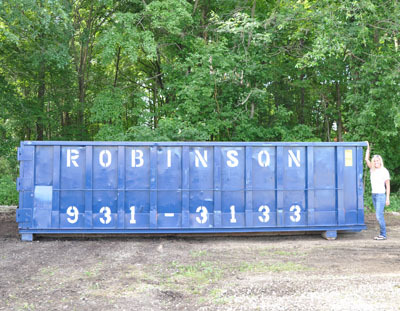 We also have dumpsters for business owners and home owners simply looking to dispose of unwanted household or office debris from homes or offices. 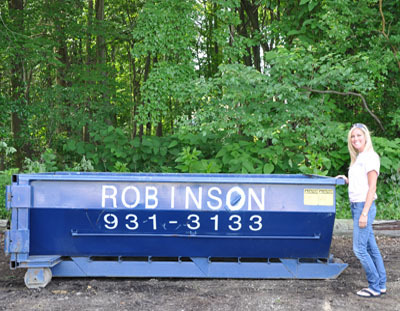 Our roll off dumpsters come in several sizes. 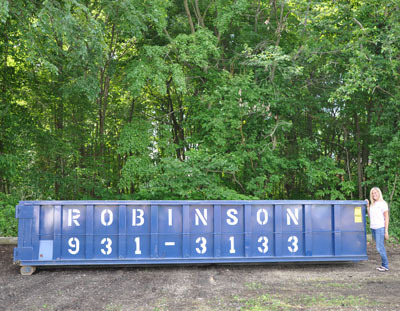 We rent 6, 8, 12, 15, 20 and 30 Cubic Yard dumpsters in Cherry Hill, NJ in Camden County to Mt. Holly in Burlington, Glassboro in Gloucester and all of their surrounding areas in between. We have a variety of porta potty units to suit all your portable restroom needs.